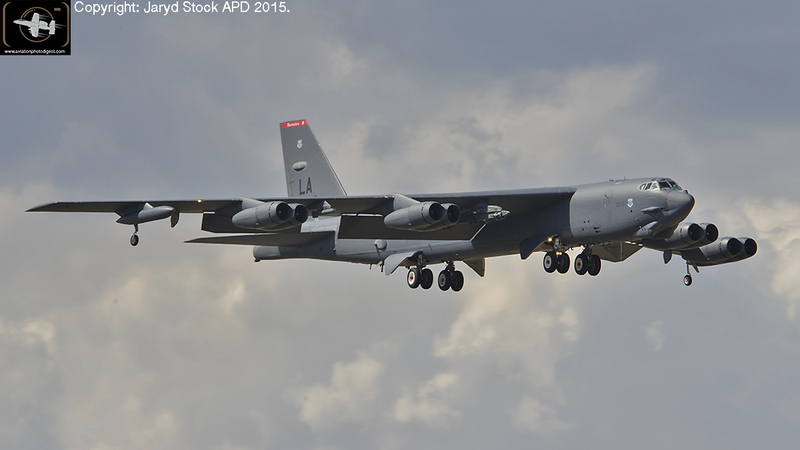 Apart from its strategic reach in the Pacific, the United States Air Force for some time has been deploying the mighty Boeing B-52 Stratofortress to Anderson Air Force base in Guam. Now as the United States government is focusing more on the Western Pacific region, the United States Air Force (USAF) is growing and strengthening ties with its allies based in the Western Pacific. 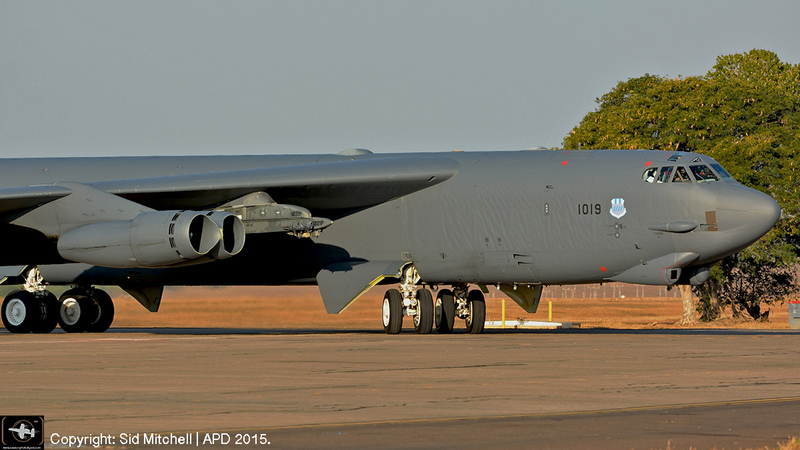 The deployments have been conducted by various B-52 units to Anderson AFB since 2004, but the duration of each rotation varies, it could be as few as a couple months or as many as eight months. This duration depends on what the commander feels will help meet the strategic goals. A typical deployment lasts approximately six months while under control of Pacific Air Forces command (PACAF) in Hawaii. 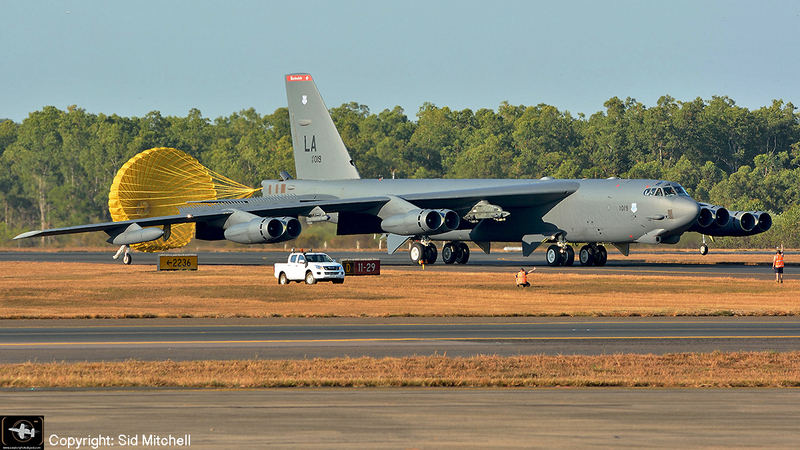 With this initiative in mind, Royal Australian Air Force Base Darwin has been playing host to regular visits by USAF B-52H Squadrons there to train and gain greater interoperability between the Australian and U.S. defence forces. APD spoke to Lieutenant Colonel Wade Karren, director of operations from the 20th Expeditionary Bomb Squadron known as the “Buccaneers”. “We have been deployed to Anderson for a couple of months now and we’ve deployed there as a part of a normal rotation so that we provide a continuous mobile presence in the region. With that, we come out and train with our partners in the region. Basically, we are providing assurance to our partners and also provide that regional security in the Western Pacific. But, with this deployment to Australia, this is a part of a normal rotational visit where the training that is undertaken is hugely valuable to the crews that are undertaking these missions”. When asked about what makes these deployments valuable to him and his team, LtCol Karren stated: “Well, basically, we love coming here and the training we do is like nowhere else in this region. It’s great training because we have the airspace where there is heaps of room to move, and the people we work with from the Australian Defence Force are very very professional, and ones here on the ground are great people and awesome to work with, so we love it when we come down here”. Lt Col Karren says his role is more about being an instructor on this deployment. He mentioned that he is the number two guy in the Squadron, with the Commander of the unit back in Anderson, so it is his role to oversee the training and make sure that the lessons being taught are properly learned: “I’m the Instructor Pilot and I am overseeing the two pilots of the aircraft and keep tabs on everything happening, we’re here for a week and while we are here we will fly a couple of sorties and integrate with the Australian Air Force (RAAF) and this allows us to strengthen and sharpen our training and that of the RAAF. And that training thus allows us to get more knowledge on how to integrate and work as a team. On our way down from Anderson we worked with a couple of ground controllers from the RAAF, so we are already learning on this trip”. He continues: “We’ve been getting a lot of diﬀerent capabilities now as on the aircraft we are carrying the Sniper Pod which gives us greater capability than ever before, a clearer and more definite picture in real time of the situation on the ground and it improves our targeting and quickens our identification processes. We’ve also got a datalink now that has been upgraded. We can talk from machine to machine, we can talk to each other via satellites and we have connectivity wherever we fly in the world, so we can talk to the diﬀerent chains of command and headquarters so they can pass on to us missions inflight. 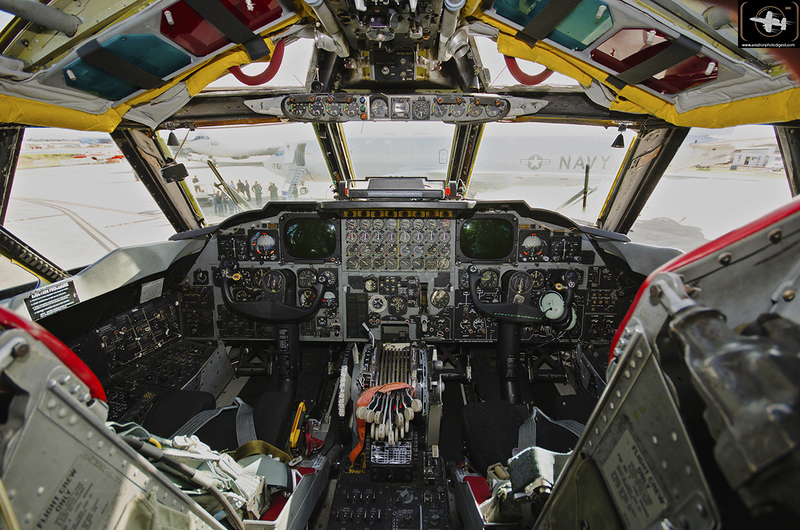 They might say “OK” at a certain point, we need to send you to there and the aircraft has a handful of sensors now, where we have the ability to look at a lot of diﬀerent things”. With the 20th Bomb Squadron deploying to Guam from Barksdale AFB near Shreveport, Louisiana in the U.S. in March, the Airmen of the squadron have flown more than 1,000 hours in support of U.S. Pacific Command objectives. This, along with the additional experience the crews have received, increased training and gaining greater interoperability with Joint Terminal Air Controllers (JTAC). JTAC’s, from a forward position, direct crews into designated areas where ordnance will be released during a Close Air Support (CAS) mission. In addition, the crews and their aircraft have integrated with USAF Rockwell B-1 Lancer bomber units during a pair of sorties. 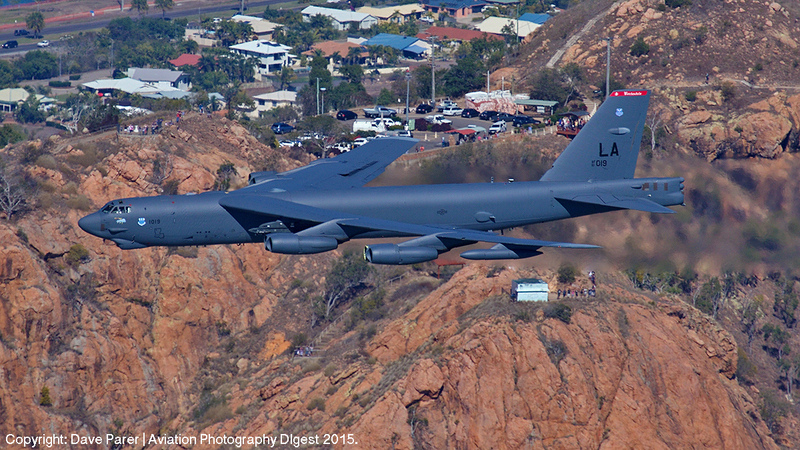 Lastly, the unit has been able to show to the public, at various airshows and open houses, the unique and timeless platform that is the B-52. Among the highlights for the Squadron during this deployment was supporting Exercise Balikatan, an exercise between the Philippines and the United States which was one of the largest that they had participated in with over 11,000 personnel participating. Colonel Kristin E. Goodwin, 2nd Bomb Wing Commander, visited Anderson AFB and had nothing but high praise for warriors as she described the Airmen from the 20th Bomb Squadron, and the integration with the various members of the 36th Wing at Anderson. “Teamwork. When we deploy to Guam, our team join the men and women of the 36th Wing at Andersen Air Force Base. With their support, we bed-down our Airmen, establish connectivity with the AOR, and set up flying and maintenance operations – not to mention we rely on them for all the other functions you would expect on an Air Force Base: a dining facility, gym, medical support, security…the list goes on. Thanks to our partnership, our deployed Airmen are mission-ready on day one. The success of our assurance and deterrence role in the Asia-Pacific Region is a result of great Airmen working together to accomplish great things. Every job contributes to the mission, and every Airman is helping shape the future of the region,” she stated in a USAF interview. Asked about the Continuous Bomber Presence (CBP) in Guam and how it has evolved since its initial operations back in 2004, Col Goodwin stated: “The CBP deployment is a fantastic opportunity for training and real-world operations. Over the years, our team has been able to work with an increasing number of joint and international partners. There is no substitute for this type of experience. When the B-52 goes to combat, we will be striking the enemy with a team composed of our sister services and coalition partners. Guam affords our Airmen the opportunity to work, train and employ alongside these forces and establish relationships enabling future operations. Commander Goodwin also stated that this is not just a trip to Guam that the crews undertake where it’s just a simple rotation. “The mission on Guam is real. Our Airmen are helping stabilize a region of the world through every jet loaded and every sortie launched. Our crews have flown alongside hostile nations, been intercepted by foreign aircraft, and have curbed aggressive international action. Barksdale Airmen are making a real difference, and we are incredibly proud of the role each has in this important mission,” Goodwin said. With the 20th Bomb Squadron in Australia, it gives the crews a greater range of various missions to undertake. 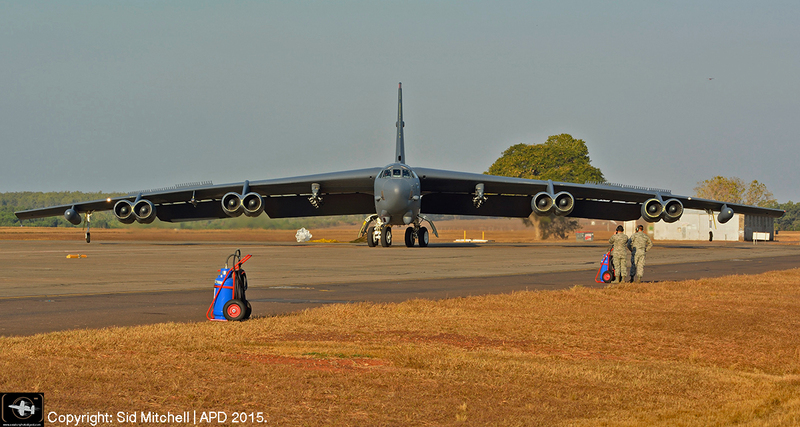 The space that is aﬀorded to the USAF B-52 crews is substantial. 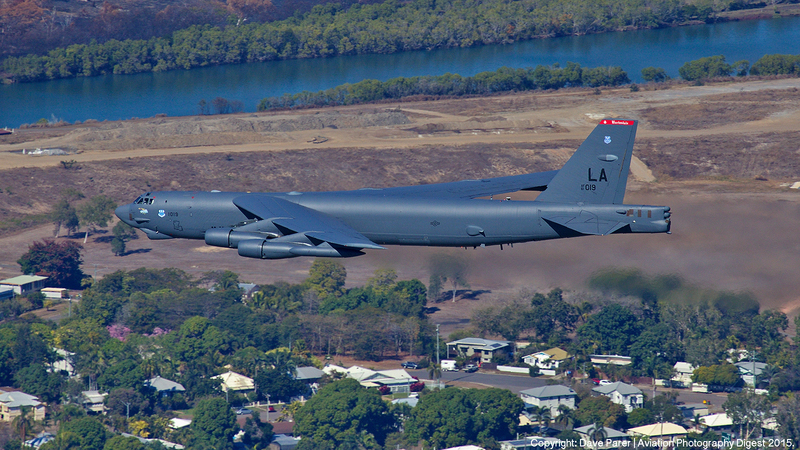 The Delamere Weapons Range in the Northern Territory, which is in the Australian outback, is thousands of square miles in range where the big bombers such as the B-52H have a lot of room to move. That, in turn, gives the crew greater training of various weapons that is carried by the aircraft. LtCol Karren mentioned that the size of the ranges is something that cannot be found that often around the world. “It is getting harder and harder to use various weapons ranges these days as a lot are encroaching on built up places, and Australia is great because our primary concern is for the safety of the crews and the Australian public”. 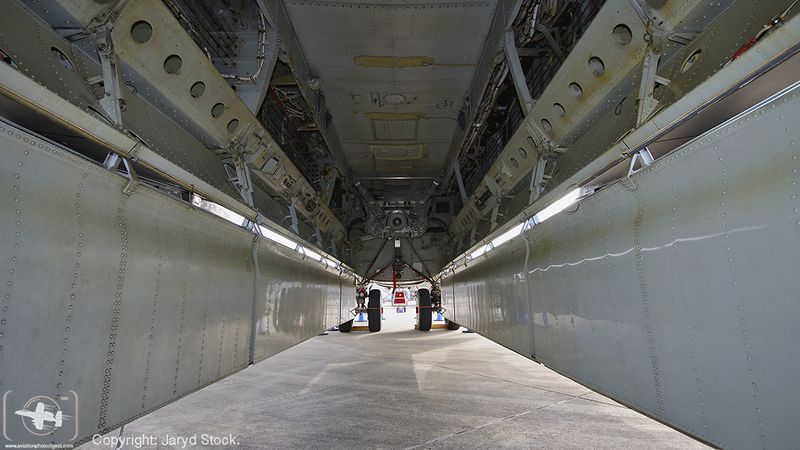 As he nods to the B-52 he states, “She weighs 488,000 lbs. and was built in 1961 so she doesn’t turn on a dime she’ll take about 8 miles to turn, so yes we will always love coming here”. 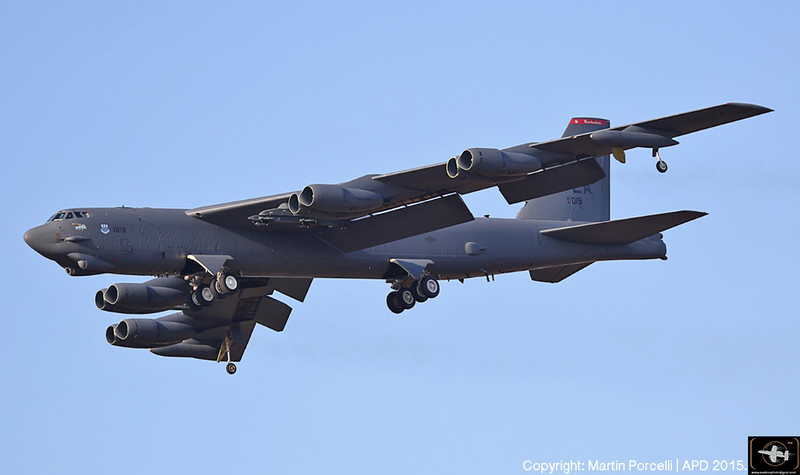 The B-52 is an aircraft that can be flown anywhere in the world and can provide commanders anywhere in the world any combat capability that they request. That is the magic of the B-52. An iconic aircraft that keeps on evolving where that is it’s “bread and butter”, to fly long range aviation sorties to anywhere on this earth at any time. The interoperability between the Australian Defence Force and the United States Air Force units is getting stronger every time the U.S. units deploy to Australia and, in turn, when the RAAF participate in exercises in the U.S. such as Red Flag and in Japan with exercises such as Cope North. 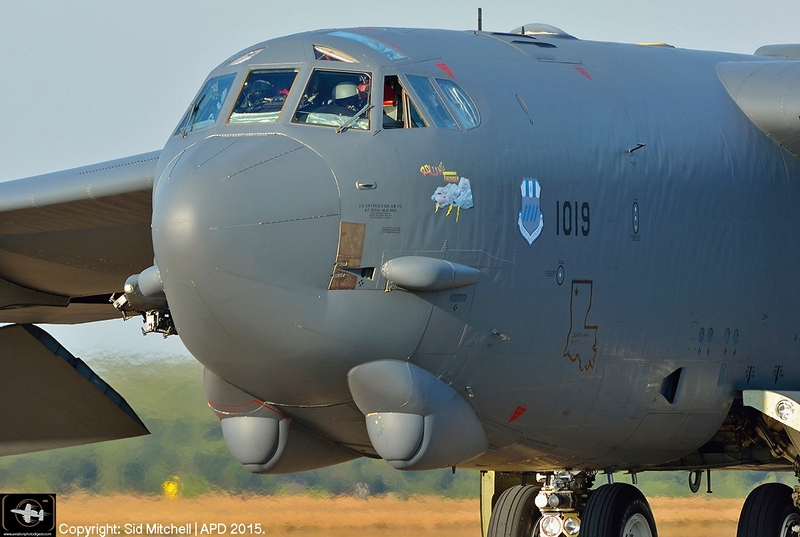 But the B-52 on deployment to Guam will always serve as a notice to the nations in the Asia Pacific region that the Airmen of the United States Air Force are ready for anything that may come their way. Jaryd Stock is based in Sydney Australia. He has been a die-hard aviation enthusiast from a young age when he was chauffeured around by his father to various airshows and airports around Australia. At his first Airshow he witnessed the awesomeness of a General Dynamics F-111C and immediately fell in love with aviation. Jaryd picked up a camera at a young age and has never looked back. 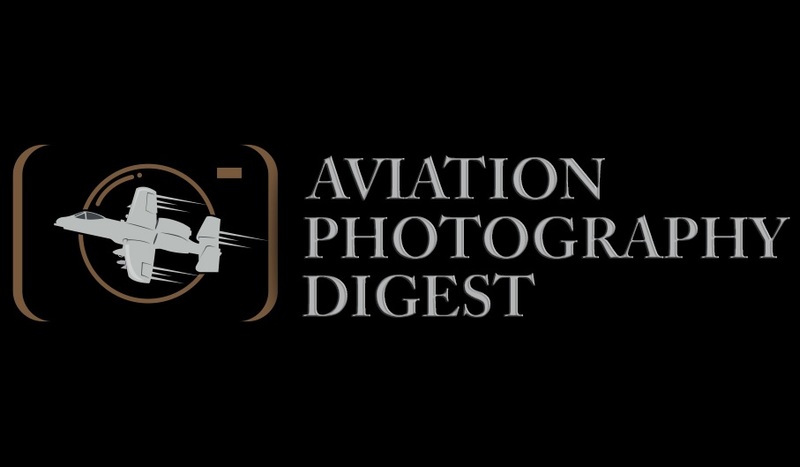 He now combines photography and writing to highlight "Downunder" aviation; especially U.S. DoD units. Jaryd uses Nikon cameras and lenses.